Donald Crockett is professor and chair of the composition department and director of Thornton Edge at the USC Thornton School of Music, and senior composer-in-residence with the Bennington Chamber Music Conference. He has received commissions from the Los Angeles Chamber Orchestra (Composer-in-Residence (1991-97), Kronos Quartet, Los Angeles Philharmonic, Hilliard Ensemble, Pittsburgh New Music Ensemble and the California EAR Unit, among many others. Recent projects include commissions from the Harvard Musical Association for violist Kate Vincent and Firebird Ensemble, the San Francisco-based chamber choir, Volti, for its 30th anniversary season, Boston Modern Orchestra Project, the Claremont Trio, and a chamber opera, The Face, based on a novella in verse by poet David St. John. 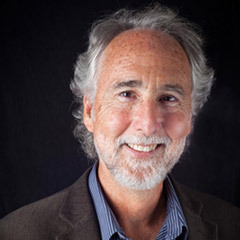 The recipient in 2013 of an Arts and Letters Award in Music from the American Academy of Arts and Letters for outstanding artistic achievement, as well as a Guggenheim Fellowship in 2006, Donald Crockett has also received grants and prizes from the Barlow Endowment, Bogliasco Foundation, Copland Fund, Copland House, Kennedy Center Friedheim Awards, Meet the Composer, the National Endowment for the Arts, New Music USA and many others. His music is published by Keiser Classical and Doberman/Yppan and recorded on the Albany, CRI, Doberman/Yppan, ECM, innova, Laurel, New World, Orion and Pro Arte/Fanfare labels. Two all-Crockett recordings were released in 2011, on New World Records with Firebird Ensemble and on Albany Records with Xtet. Active as a conductor of new music, Crockett has presented many world, national and regional premieres with the Los Angeles-based new music ensemble Xtet, the USC Thornton Contemporary Music Ensemble, and as a guest conductor with the Los Angeles Chamber Orchestra, Pittsburgh New Music Ensemble, Cleveland Chamber Symphony, Hilliard Ensemble, California EAR Unit, Firebird Ensemble and Ensemble X. As conductor of the USC Thornton Symphony’s annual New Music for Orchestra concert, Donald Crockett has premiered well over a hundred orchestral works by outstanding Thornton student composers. He has also been very active over the years as a composer and conductor with the venerable and famed Monday Evening Concerts in Los Angeles. His recordings as a conductor can be found on the Albany, CRI, Doberman/Yppan, ECM and New World labels.